When you install a new garage door, you want your investment to last for many years. The best way to ensure it remains in good working condition is to have a routine maintenance plan; otherwise, you may find yourself dealing with premature aging and the inconvenience of costly repairs. Inspect The Hardware: There are a lot of parts that keep a garage door functioning. It’s important to visually inspect the hardware to make sure everything is working properly and replace or tighten anything that looks rusty or loose. Check The Balance: Balance plays a critical role in a garage door's performance. When it’s off-kilter, it becomes heavier to lift, which will eventually begin to affect the safety mechanisms and can result in serious damages. Examine Weatherstripping: Weatherstripping on your exterior doors keep the elements from making their way inside your garage and house. If the weatherstripping around your garage is not firmly sealed without any cracks, it should be replaced right away. Otherwise, it will be difficult to keep you garage dry and warm. Test Safety Features: The reverse mechanism of a garage door is what prevents it from coming all the way down when it senses an object in the way. This mechanism and other safety features should be regularly tested as a precaution to keep harmful incidents from occurring. Clean Out The Tracks: Debris can accumulate quickly in the tracks of a garage door, making it difficult for it to open and close smoothly. Cleaning the tracks and checking their alignment periodically will make a significant difference. Wash & Treat As Needed: Your garage door is one of the first qualities people will notice about your property. Give them a good impression by washing it every now and then and staying up on its paint or stain treatments. 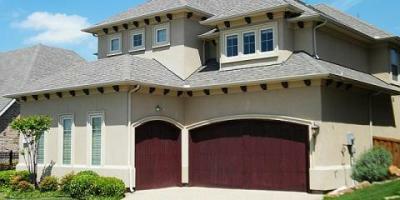 Many homeowners ignore their garage door until it desperately needs repair. Avoid these unnecessary expenses by using these tips to maintain your investment. Contact Felluca Overhead Door at (585) 467-2391, or visit their website for more information on receiving quality garage door services in Rochester.